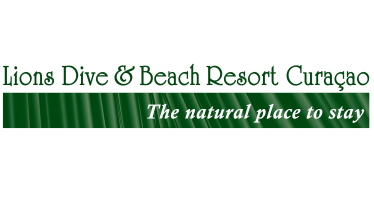 One of the most popular resorts on Curaçao, Lions Dive & Beach Resort, has chosen Travel GSA as their general PR agent for the Dutch market. Christina Sieperda, director of sales & marketing at Lions Dive: „We are very excited about our cooperation with Travel GSA. The people involved in Travel GSA have been active within the Dutch market for over 20 years and because of this, they have a large network and are deeply involved in the Dutch travel industry. Before this cooperation, we did our PR and sales activities by ourselves. We expect that by working with Travel GSA we can make a step forward in promoting our beautiful resort in the Dutch market.” The cooperation has officially started on the 1st of April. Lions Dive & Beach Resort is by far the sportiest hotel on Curacao and its superb location makes it a perfect launch point for discovering some of Caribbean’s best kept secrets. 4**** Lions Dive & Beach Resort sits on an idyllic, palm studded private beach that overlooks Curacao famously clear waters and the fringing reef of Curacao’s National Underwater Park. Historic Willemstad is only a 5 minute drive and the well-know Seaquarium & Dolphin Academy and Mambo Beach are next-door. 4 bar-restaurants on property will serve all your wishes and the sporty guests can enjoy our underwater world with premier diveshop Ocean Encounters, swim some laps in our 50mtr sports pool, join the sport program or get fit in the Body Beach Wellness Club. The accommodation consists of rooms, 2-bedroom apartments, suites and the penthouse, varying from budget to over the top romantic. With 31 meetings in just three days, the ITB 2014 was a very busy fair for the Travel GSA team. From DMC’s, hotels, incoming touroperators and several specialists: the meetings went from hall 1.2 to hall 20. 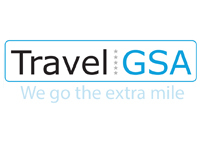 Curious about what Travel GSA can do for you in the Dutch travel industry? Check it out!